A pleasure boat collided with a ship docked in the Port of Montreal Tuesday night, sparking a search led by the Canadian Coast Guard. Pascale Fortin, a communications officer for the Coast Guard, said they received a call Tuesday night around 10 p.m. from a witness who thought someone might have fallen into the water as a result of the collision. Police expanded on that Wednesday morning, saying a crew member on the docked ship thought he saw one or two people fall from the pleasure boat into the water after the collision. The report led to a search Tuesday night by Coast Guard boats and members of the Montreal and Longueuil fire departments. A provincial police helicopter and an armed forces helicopter and Hercules plane also took part in the search, which came up empty. Fortin said Coast Guard rescue boats will resume the search today assisted by a helicopter. Montreal police say no one has been reported missing and it's not clear if someone actually fell in the water. The U.S. Coast Guard is continuing its air and water search of Lake Erie for a missing fisherman from Canada. The Coast Guard was notified Tuesday afternoon that a boat had washed ashore near Hamburg, New York, south of Buffalo. Officials say the boat showed signs of having been used recently, but the owner wasn't around. By using information on the boat and reaching out to family, the Coast Guard was able to determine that 37-year-old Giusseppe Reinhart, of Niagara Falls, Ontario, had gone out fishing by himself Tuesday morning and was missing. Coast Guard officials say Buffalo-based boat crews and a C-130 airplane searched through the night but didn't find any sign of Reinhart. The search continues Wednesday morning, when a Coast Guard helicopter based at Detroit and law enforcement agencies will join the effort. The Coast Guard asks that anyone with information about Reinhart call the Buffalo sector at 843-9527. Two teenagers who went missing from the Whitefish Lake First Nation over the weekend have both been found dead, their bodies discovered hours and kilometres apart, police and family members say. Dylan Laboucan and Cory Grey were boyfriend and girlfriend. He was 17, she was 19. The young couple went missing Saturday from the remote community north of Slave Lake, Alta. Laboucan's body was found Monday evening. Louis Grey confirmed to CBC Tuesday that his daughter's body was found less than 24 hours later. "Tonight, they found my girl finally, deceased, not even two kilometres from my place," said Grey. Both deaths are being investigated by the RCMP major crimes unit from Edmonton. The investigation began Saturday as a missing persons case. On Saturday between 7 and 8 p.m., Laboucan was found unconscious outside the trailer where he lived with his girlfriend and her mother, Louis Grey's wife. He lives about two kilometres away. "The guy who found them, I guess he sort of panicked," said Grey. "He really didn't try to revive him. He didn't want to go inside the trailer, because he thought someone might be inside. "So, he took off and went to go phone from a neighbour's place. So, this took him about 15 to 20 minutes. When he returned back to the scene, Dylan's body was gone. But he'd never seen my girl." ​High Prairie RCMP say they originally responded to a complaint on Saturday about an unconscious person outside a residence on the first nation. When they arrived they found no one at the scene. RCMP listed the two as missing over the weekend. Louis Grey said during the search for the young couple, police brought in dogs and were assisted by people from surrounding communities. On Monday, High Prairie RCMP said they'd found a body, and the next day confirmed it was Laboucan. He was found about six to eight kilometres from the trailer where he lived. "Then they tried to stop us from searching anymore," Grey said, "because we could have contaminated the crime scene." He said police found his daughter's body at around 5 p.m. Tuesday. "She was the youngest of my kids," Grey said. "I had nine kids. Just three years ago, I lost my youngest son right on Christmas Day. So it's kind of hard for the family again, to happen to our two youngest kids." Grey said his daughter and her boyfriend had been together for about a year. Laboucan had recently graduated from high school, he said, and his daughter graduated the year before. Both had been accepted to go to vocational school in Slave Lake, Grey said. "Everything was set up, even apartments and all that. And then this happened. They were a nice young couple. They had their little minor arguments, but just minor. They were innocent, innocent." Search crews are back out this morning, looking for a boater missing on Wabamun Lake. Wabamun Lake is 75 kilometres west of Edmonton. RCMP say two men were on the lake Wednesday afternoon when their boat was hit by a large wave and they were thrown over. While one of the men was able to climb back inside the boat, the other has not been seen since. It is believed neither were wearing life jackets. A search for a boater who went missing on Wabamun Lake was suspended Thursday morning because of high winds. RCMP, Parks Canada, Parkland Fire Department and the Department of Sustainable Resources are involved in the search. RCMP in Sussex are asking for help from the the public to locate a missing 20-year-old woman. 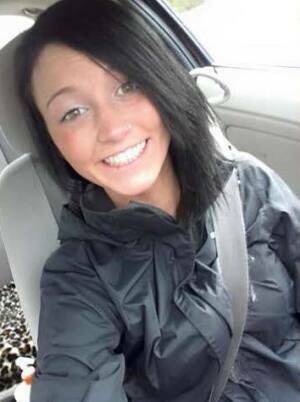 Jessica Ann Miller of Apohaqui was reported missing by her family on Sunday. Miller hasn't been seen since Thursday at 5:30 p.m. The last contact with her was a text message on Friday. Miller has not been heard from since. Miller's family told police her disappearance is out of character and they are concerned for her well-being. Miller is approximately five feet, four inches tall and has a slim build, with long black hair and hazel eyes. She has a nose piercing on the left hand side and a piercing above her lip on the right side of her face. Anyone with information on Miller or her whereabouts is asked to contact the Sussex RCMP. MPH the RCMP Helicopter was on site, seen flying over the command post by many passing motorists. RCMP PDS(Police Dog Service) were also on site. Police are asking drivers in the North Thompson to be on the lookout for a missing elderly man and his truck. Friday is day 5 of the search for 78 year old Lavern Boettger from Vavenby. He was last seen Sunday afternoon when he was out taking a drive. Sergeant Kevin Podbisky speaks for the Clearwater RCMP. He says the 78 year old does not have any serious medical issues. Family members say the elderly man likes to drive on remote roads in the Vavenby area. His black Ford ford ranger pickup truck has the license plate 8769 HB. Police and searchers will be back looking over the Vavenby to Blue River area along highway 5 Friday morning. New Brunswick Unsolved Murders & Missing People / Armand Cyr, Reported missing October 7th, located deceased October 8th. The 86 yr old man who was reported missing yesterday in Edmundston was found this morning in the area of Saint-Basile. The Edmundston Police force confirmed that the body of Armand Cyr was located in a ditch along David Road near route 144 at approximately 1030 this morning. Recall that the employees of the Hotel Dieu had found his disappearance early yesterday morning. By reviewing CCTV video recordings, Mr. Cyr was seen walking near the chapel around 330 AM the night of October 6th or 7th. Mr. Cyr who is origionally from Saint-Leonard was a resident of l`hotel dieu in Saint-Basile and suffered from Dementia. The police force assisted by Fire Fighter from Saint-Basile along with North West Ground Search & Rescue, employees from l`hotel dieu and volunteers conducted extensive searches which lead to this mornings discovery. Mr. Cyrs body was transported to the Edmundston Regional Hospital, currently the cause of death is unknown. The police are continuing their investigation.